To quote that wonderful philosopher, Winnie the Pooh, “The beginning is a very good place to start”. For me, it all started was when I was looking for a great book to read. I finished reading the last book by my favourite author. It would be another year, maybe two before his next book became available. This meant I needed to search for another book to read. I was even willing to stray from my usual genre to find an excellent read. Something easier said than done. You would think, with over 45 million books on Amazon alone, finding a story to enjoy, a book you can immerse yourself in totally, would be a pretty easy thing. But no, it is not. Finding and selecting a book which looks like it will meet your criteria is not a simple affaire, not if you want to make as certain as possible you will enjoy reading it. There is the uncertain quality and content of many of the full priced eBooks. Anyway, do you really want to commit spending your hard-earned cash to buy something you do not enjoy reading or find the writers style is not to your taste? It all makes choosing a ‘new to me’ author or selecting a book from a different genre a bit of a lottery. That is when I had my eureka moment. The result is Electric Eclectic Novelettes. ‘Electric’ because they are ebooks, digital… electric. ‘Eclectic’ for the various styles, genres and authors who write them. And ‘Novelettes‘ as not to mislead readers they are anything other than short, sample books; introductory books to new authors and new genres. 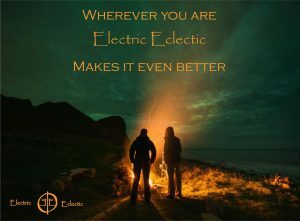 Electric Eclectic books are written by some of the best indie authors in the world, each Electric Eclectic Novelette delivers wonderful and entertaining storytelling to a high standard. People searching for their ‘next favourite read’ can rest assured in the knowledge that Electric Eclectic Novelettes have undergone a rigorous selection process, ensuring the stories meet our exacting standards. This means you do not need to read through a bunch of ‘hookey’ or substandard books, or spend out on a random book hoping you will enjoy its content. With each Electric Eclectic book costing just 1.00 (dollar/euro/pound), it is a small price to pay to ensure a thoroughly entertaining read and an introduction to your next ‘new’ author. Once you have found the right style of stories, the ones you love, you will have found your next favourite author and can start to work your way through their full-length books and novels knowing you thoroughly enjoy their writing. Say goodbye to dealing with ‘dodgy’, inferior writes. Download a handful of Electric Eclectic Novelettes and give yourself a literary treat? What is more, Electric Eclectic Novelettes are easy to find. 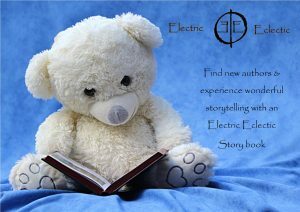 The first way is to visit the Electric Eclectic website where all the Novelettes are shown, along with author insights and links to their personal books and pages.